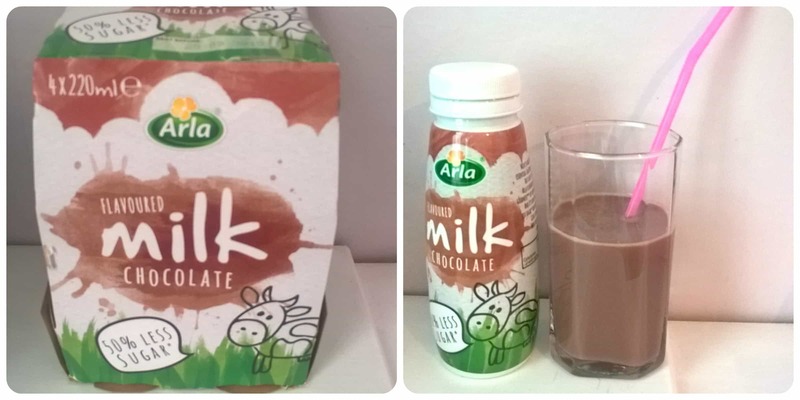 There’s nothing my children love more than a drink of chocolate flavoured milk as a delicious treat during the day, so we were pleased to try these cute little individually portioned bottles of Arla Flavoured Milk. Available in chocolate and strawberry flavours I knew chocolate would be a hit with my two! I love that they come in individual bottles as you can always open a fresh bottle and don’t have to rush to finish a large bottle in a few days. Also children love having their own little bottles and you can ensure they get an equal amount each (yes, my 2 do compare the amounts I pour out for each of them!). These flavoured milks contain 50% less sugar than most other available flavoured milk drinks and also have no artificial sweeteners, flavours or colours. So what did my two think of these drinks? Well I think you can tell by the pictures above that they were a hit, they couldn’t wait to have another one and eagerly drunk their drinks without any encouragement needed! All reviews are my own and my family’s opinions and we received the chocolate milk in order to write an honest review. This entry was posted in Reviews and tagged arla, chocolate, flavoured milk, milk by Fiona Martin. Bookmark the permalink. good to know that they contain less than 50% sugar. will look out for it! Love chocolate milk, love lower sugar!